Haj Amin Al-Husseini was instrumental in ushering in National Socialism within the Arab World and in contributing to tens of thousands of deaths both directly and indirectly during the WWII. He has influenced men from Adolf Eichmann, Abdul Nasser to Yasser Arafat (to whom he was related) and was directly supported by Adolph Hitler. During his life, al-Husseini was responsible for briefly overthrowing the Iraqi government in 1941, creating Nazi SS divisions comprised of Muslims, representing and spreading National Socialism within the Arab World, fostering and implementing a radical departure within Arab-Jewish relations from peaceful co-existence to that of mass killings (eliminating ninety percent of all the Jews within the Balkans alone), and being responsible for the deaths of tens of thousands of Jews. Additionally, he had successfully fused National Socialism, Islamic fundamentalism, and Pan-Arabism into a hybrid that exists to this day. The Nazi connection to Islamic extremism is a topic little known and understood in modern society. As the West attempts to understand the long simmering blood feud between Arab and Jew, little is spoken of the role that Haj Amin al-Husseini played in escalating the conflict through his collaboration with the Third Reich. Haj Amin al-Husseini was born in 1895 in Jerusalem, which at the time was a protectorate of the Ottoman Empire. After attending the Al-AzharUniversity in Cairo for a year, he left to join the Ottoman Army at the outbreak of World War One. He achieved the rank of officer and was stationed among various ports near the Black Sea, primarily in the Greek Christian city of Smyrna. While there is little documentation to suggest that Husseini was directly involved with the subsequent Turkish genocide against the Christian Armenians, there can be no doubt that at the very least, he was consciously aware of the extermination program as much of the genocide was perpetrated within the areas where he was stationed. It was during these formative years of his youth that he began to embrace a fundamental pan Arab view of autonomy concerning not only Palestine, but later to include the entire Arab Peninsula. Throughout his life, this fundamental belief experienced various incarnations as Husseini struggled to deal with what he referred to as the “Jewish Question,” finally culminating by advocating Jewish extermination during World War Two and after. After being convicted by the British authorities for inciting a campaign of violence against Jewish settlers in 1920, he was suddenly pardoned by the British High Commissioner Sir Herbert Samuel, who was attempting to control the widespread violence against the Jews by pacifying Husseini and appointing him the Grand Mufti of Jerusalem (regardless of the fact that the Palestinian leadership had always voted for the position and that Husseini had finished a distant fourth). He was also given control of the Supreme Muslim Council that was created by the British to provide a voice concerning political matters within the British mandated rule of Palestine. Husseini would use this position by ridding himself of any opposition concerning his views toward the expulsion and eradication of Jews within Palestine. Throughout the decade of the 1920’s, Husseini carried out several anti-Jewish pogroms against Jewish communities in Jerusalem, Motza, Hebron, Safed, Haifa, Tel Aviv, Jaffa, as well as those living in the countryside. Husseini ordered that slaughtered Jewish settlers should have their corpses disguised and then photographed as slain Arabs to further instigate and enflame Arab opinion. 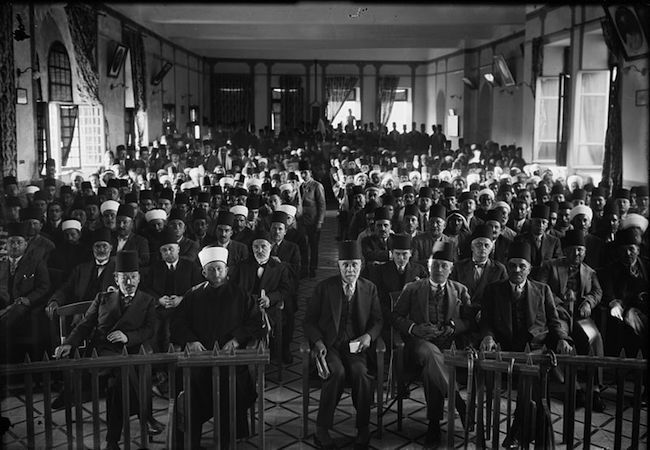 During these pogroms, Husseini organized and chaired the All-Islamic Conference in which he further consolidated his power and prestige within the Arab world. 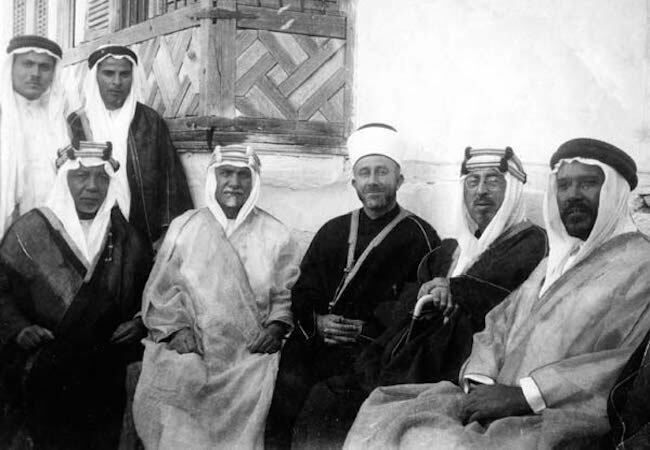 It was through this recognized entity throughout the Muslim world that Husseini would justify his position of authority to the Germans as being representative of Arab sentiment. The time was fast approaching when a greater level of cooperation would be initiated between that of the Arab world, and that of the Nazi Germany. The first known contact between Husseini and a Nazi official was in 1936 when Husseini met with Francois Genoud, a prominent Swiss banker who represented much of the Third Reich’s financial endeavors outside of Germany. This was a position awarded him by Hitler himself, who made Genoud an honorary member of the Nazi Waffen SS as well as receiving the decoration of the Gold Badge. During World War Two, Genoud provided financial assistance to Husseini and his Berlin sponsored government in exile in order to continue his anti-Jewish propaganda campaign that was disseminated throughout the Muslim world. While this was Husseini’s first contact with a Nazi official, this was in no way his first contact with a representative of a fascist government; that “honor” belonged to the Italian Foreign Minister Count Galeazzo Ciano, who gave millions of dollars to Husseini for the sole purpose of poisoning the water wells in Tel Aviv. Contact between Husseini and Nazi officials began to escalate after his first initial meeting with Genoud. On July 15, 1937, six days before his personal role in inciting riots against the local Jewish populace, Husseini met with the Nazi Ambassador Doehle, the German consul in Jerusalem. Doehle reported his meeting with Husseini, telling his superiors in Berlin that,” The Grand Mufti stressed Arab sympathy for the new Germany and expressed the hope that Germany was sympathetic toward the Arab fight against Jewry and was prepared to support it.” The riots though, continued unabated, so much so that the British sent Lord Peel, as the head of a fact finding commission, to interview all the various parties embroiled in this Jewish-Arab conflict, hoping to provide the British government with a better model to govern Palestine. One of these interviews was with Husseini, who made it very clear to Peel that his primary, if not sole, goal was the establishment of an all Arab Muslim state and the total eradication of four hundred thousand Jewish settlers. This transcribed interview with Peel directly contradicted the contemporary Arab nationalist belief that Zionists were attempting to evict all the Arabs from Palestine. The Peel commission recommended a partition between the Jewish and Arab settlements, an action that Husseini did not accept, expressing his vehement antagonism not only against those Jews in Palestine but also against those Arab moderates who agreed in principle with the Peel Commission’s findings and recommendations. Waves of assassinations resulted in the wake of Husseini’s anger against those within his own camp who openly disagreed with him. By this time, Husseini had attracted the attention of Nazi SA 0bergruppenfuehrer Reinhard Heydrich, who sent both Hauptschanfuehrer Adolf Eichmann and his assistant Nazi SS Oberscherfuehrer Herbert Hagen to Palestine as his personal envoys to meet with Husseini. 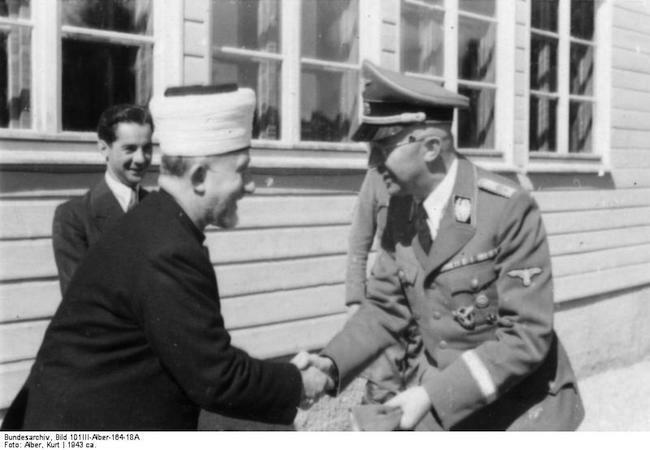 While there is little documentation surviving regarding the nature of their meeting, it is already apparent as to the strength of Husseini’s persistence and personality in influencing Nazi policy concerning their dealings with the Jewish population. This is evident because of Eichmann’s meeting with the Zionist Feivel Polkes. Polkes, who, in his meeting with Eichmann, argued for the increased Jewish immigration from Germany into Palestine, an idea that was openly discussed and even supported by high-ranking members of the Nazi hierarchy at the beginning of the war. Eichmann though, who met with Husseini afterward, reveals Husseini’s influence by arguing against such immigration measures by filing reports of Nazi influence within the Palestinian populace. This was certainly not the last time Husseini would be able to influence Eichmann, nor for that matter, Nazi decisions concerning the fate of the Jews. Husseini’s growing importance to the Nazis resulted in Nazi Admiral Wilhelm Canaris, the head of the Nazi Abwehr Intelligence Division, putting Husseini on the Nazi payroll. After the pro-Nazi coup was launched successfully on April 1, 1941 (though in power for only a month), Husseini wrote Hitler again, asking that Hitler “recognize the right of the Arabs to solve the Jewish question…in the same manner as in the Axis countries.” The coup though failed, largely as a result of a British backed insurrection. This action infuriated Husseini and resulted in him publicly blaming the fall of Iraqi “nationalism” on the shoulders of the ancient Jewish community that resided within Iraq for millennia, tracing back its lineage to the time of Judah’s captivity by the Babylonian King Nebuchadnezzar. The result of Husseini’s allegation was six hundred dead Jews and the looting and destruction of Jewish shops and homes. This pogrom is known to Sephardic Jews as the Fahud. Hitler replied: “Germany stood for uncompromising war against the Jews. That naturally included active opposition to the Jewish national home in Palestine, which was nothing other than a center, in the form of a state, for the exercise of destructive influence by Jewish interests. Germany would furnish positive and practical aid to the Arabs involved in the same struggle…. 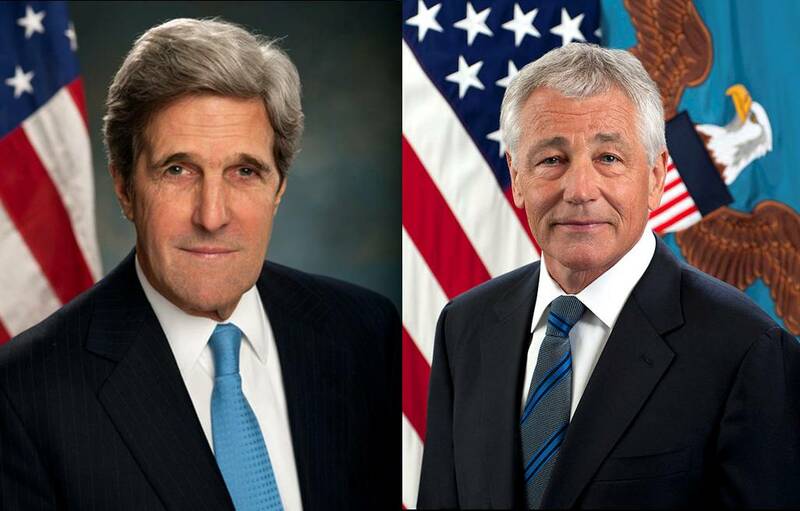 Germany’s objective [is]…solely the destruction of the Jewish element residing in the Arab sphere…. 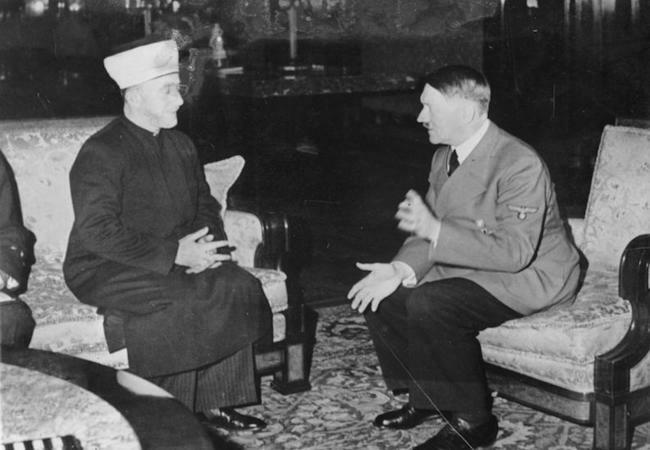 In that hour the Mufti (Husseini) would be the most authoritative spokesman for the Arab world.” The Mufti thanked Hitler profusely. Germany was involved in a life and death struggle against Russia and Great Britain (which Hitler referred to as two citadels of Jewish power) and was actively involved on all fronts; the fact that Operation Barbarossa was so consuming made Hitler hesitant to send any badly needed troops to the Arab world. Hitler though did promise one thing which pleased Husseini greatly, that once the war against Russia and Britain was won, Germany’s objective would then be the destruction of the Jewish elements residing in the Arab sphere under the protection or control of British power. In that hour the Mufti would be the most authoritative spokesman for the Arab world. In addition to the radio broadcasts and other conduits available to the dissemination of propaganda (leaflets, booklets, publications, etc) Husseini was given the responsibility by SS leader Heinrich Himmler in recruiting and maintaining SS divisions comprised of Muslims. Husseini broadcast messages into Nazi occupied Russia, exhorting local Muslims to join various Nazi sponsored military units. He was given this authority to create and raise these divisions as a result of a meeting with Gottlob Berger, the chief recruiter for the Schutzstaffel SS. 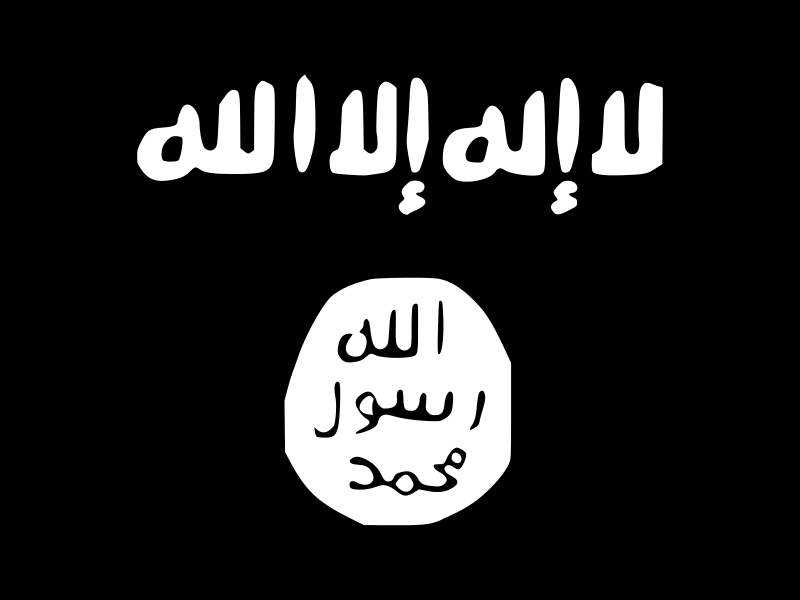 Berger stated at the onset “a link is created between Islam and National Socialism on an open, honest basis. It will be directed in terms of blood and race from the North, and in the ideological-spiritual sphere from the East.” The creation of these units were known as Hanzar Brigades and resulted in the addition of several Einsatzgruppen divisions to the Axis cause. These Hanzar units were responsible for the extermination of ninety percent of the Jewish population within Bosnia as well as similar actions within Croatia and Hungary. As each of these divisions became active, they received speeches upon ceremonial activation by Husseini exhorting them that the “Jews are the worst enemies of the Muslims.” Himmler also established a school in Dresden to train mullahs who would then be placed directly under the control of Husseini. At the end of the war, there were over one hundred thousand European Muslims recruited to fight in specially designed Nazi brigades. 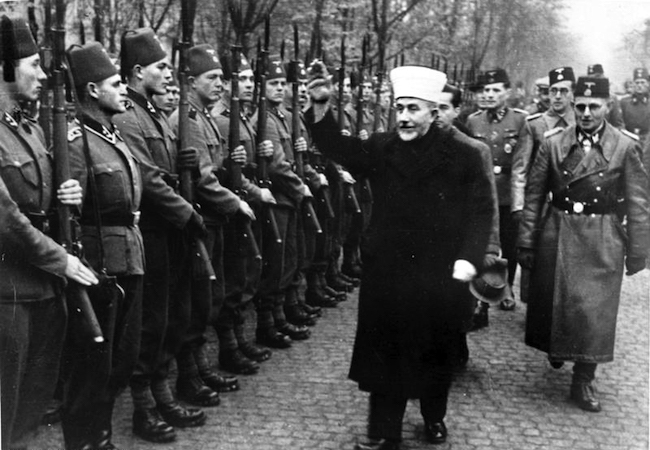 After fleeing Germany at the end of the war, Husseini was instrumental in ferrying certain Nazis to various locations within the Arab world as well as helping in the placement of these figures who would be beneficial to the various respective Arab governments who could use their services in promoting their own nationalistic endeavors against the newly created state of Israel. This was known as Project Odessa. Husseini was to ferry key Nazi figures fleeing from war crimes charges into key positions within the Arab world, primarily Egypt and Syria who were the main antagonists advocating the destruction of Israel and attempted to do so several times within the span of Husseini’s life, most notably during the Six-day war in 1967 and in the Yom Kippur War in 1973. In 1962, Al-Husseini would lead the Islamic World Congress for the last time, retiring shortly thereafter. Before leaving office, the Congress, while under the leadership of Husseini, drew up a resolution that was eerily similar to that of the invective spewed forth by Nazi officials two decades earlier. The resolution called for the ethnic cleansing of all Jews within the Arab World and to establish a Middle East that was “Judenrein” (free of Jews). On July 5th, 1974, Husseini died, passing the torch to a new protégé, his nephew, Yasir Arafat who in a later interview called his diabolical uncle “a great hero.” Throughout the years Arafat has gone on record several times in praising the “virtues” of his uncle. That Husseini groomed Arafat for this role of leadership within the newly created PLO is of no question. Husseini placed him in command of arms procurement for his militia as well as arranging for Arafat to fulfill the role of a leader, grooming him for the necessary tenacity required to fill the vacancy that Husseini would leave behind. In light of the historical record, which shows indisputably Husseini’s role in the Holocaust, one wonders as to the absurdity prevalent within the Arab world in denying not only allegations of wrongdoing through their idealistic and nationalistic leaders but also the very Holocaust itself. The historical record though is clear. The Grand Mufti of Jerusalem, the one man who could claim to be the spokesman and ideological leader of the Arab world, was an accomplice to mass murder. Since the end of World War Two, National Socialism has continued to steadily influence political and ideological thought in the Muslim world. The first such signs were apparent during the trial of Adolf Eichmann in 1961 when Arab newspapers, providing coverage of the trial for their readers, were openly sympathetic to Eichmann’s cause, going so far as to complain that the only fault visible to them was the inability of Eichmann to complete the Final Solution. At the same time was General Gamal Abdul Nasser, who after seizing power in 1952, incorporated literally dozens of former officials from the Nazi hierarchy, including notorious S.S. members such as Otto Skorzeny, Obersturmbannführer of the Waffen S.S. and also labeled at one time by the OSS as the most dangerous man in Europe; and Joachim Daumling, the former chief of the Gestapo in Dusseldorf, who completely rebuilt the Egyptian intelligence services. Husseini spent much of the post-war period funneling money to extremist Islamic groups whose views corresponded with his own, money that had been pilfered from Jews at the hands of the Nazis. This money was used in a variety of ways, from supporting terrorist organizations, to producing his propaganda. The Swiss Nazi banker, Francois Genoud, aided him heavily in this endeavor. Genoud was an unrepentant Nazi until his death in 1996 at the age of 81; in the midst of investigations into his support for terrorist organizations. Genoud was instrumental in supplying Husseini with funds throughout Husseini’s post war life, primarily because of his creation and involvement in the Arab Commercial bank in 1958. The bank offered loans to Arabic nationalist groups that fought against or attacked Israel. Genoud was so adamantly anti-Semitic that he actually ordered his bank to manage the fighting fund of the Islamic Algerian independence movement. Genoud was highly influential in transporting key Nazi figures into the Arab World through the Odessa project which was created and funded by Genoud, who oversaw the transfer of millions of marks into his accounts which were then used to finance Odessa and Husseini’s own endeavors. The principal source of the finances that made this possible originated from the personal holdings, property, and belongings from Jewish victims of the Holocaust. Additionally, Genoud acquired the rights to the published writings of leading Nazi figures such as Joseph Goebbels, Martin Bormann, and that of Hitler. His acquisition came as a result of becoming personally involved with the families of each. The primary reason however, in his support for Husseini and Islamic extremism, was a conversation he had with Major Herman Bernhard Ramcke, during which he learned of Martin Boormann’s account of the many conversations with Hitler in the last three years of his life. These written accounts were later handed to him in full by SS Captain Hans Reichenberg, resulting in Genoud publishing them several years later. Genoud wrote the preface, claiming, “Hitler wanted the people of the Third World to carry on the work of the Thousand Year Reich.” Genoud was also instrumental in the hijacking of a Lufthansa 747 in Bombay by Islamic terrorists who demanded five million dollars for the Organization for the Victims of the Zionist Occupation. It was Genoud who carried the ransom letter, though at the time, his complicity was not known. In 1962, Genoud moved to Algiers where he became the director of the Arab People’s Bank, yet another institution that he used to transfer over fifteen million dollars belonging to the National Liberation Front to Swiss bank accounts. For this action he was arrested in Algiers but later rescued by the Egyptian President Abdel Nasser, who was well versed in the ideological trappings of National Socialism, due in no small part to the influence of Husseini. Throughout Husseini’s public career, Genoud served as his personal financial advisor. Genoud was not Husseini’s only Nazi contact. The American H. Keith Thompson, an influential Nazi activist, has readily admitted to helping Husseini in his post-war activities by stating that he “did a couple of jobs for him, getting some documents from files that were otherwise unavailable.” Another collaborator was Youssef Nada who served with Husseini during the war as a member of the Muslim Brotherhood party. The Muslim Brotherhood party directly supported the operations set forth by Husseini and Nazi Military Intelligence, who in 1936, recruited Nada and others to link up with the Young Egypt Party, whose membership included Gamal Nasser and Anwar Sadat. The Young Egypt Party was an exact carbon copy of the Nazi Party, going so far as to use translated Nazi slogans and call themselves the “Green Shirts.” Youssef Nada, who worked closely with Nazi intelligence, until recently was the director of the al-Taqwa bank, an institution that the U.S. Treasury has condemned for laundering money and financing al-Qaeda as well as having connections to various extremist Islamic organizations. In the several decades following the conclusion of World War Two, thousands of Nazi fugitives, collaborators and sympathizers flooded into the Arab World, particularly Egypt. The Egyptian President made it very clear that he desired the propagation of these Nazi’s into the Egyptian hierarchy, “We will use the services of those who know the mentality of our enemies.” Among the many Nazis who fled (or were invited) to Egypt was Franz Bartel, the Gestapo head of Katowice, Poland who subsequently ran the “Jewish Department” of the Egyptian War Office, Standartenfuhrer Baumann, who was instrumental in the liquidation of the Warsaw Ghetto and who now was an integral part of the Palestinian Liberation Front, also based in Egypt. Various Nazi medical personnel, such as Doctor Herbert Heim and Doctor Willerman who committed atrocities under the guise of “medial experimentation” at Mauthausen and Dachau, were also welcomed within the Arab world. Nasser particularly sought those Nazis from the realm of Jewish anti-propaganda. Nasser established an Institute for the Study of Zionism in Cairo in 1959, which employed former key figures in Goebbel’s Ministry of Propaganda, including Luis Heiden, who translated Hitler’s Mein Kampf. into Arabic, which was then issued to every officer in the Egyptian army. Nasser, was impressed with the success of the integration of Nazis within the military infrastructure of Egypt and ordered Colonel Muhammad al-Shazli, his attaché in London in 1962, to contact prominent Nazi sympathizers in London such as Colin Jordan and John Tyndall and discuss the funding and financial support of the National Socialist Movement in Jordan. In recent years, especially since the 9/11 attacks on American soil, there has been increased communication between Neo-Nazis and their Islamic counterparts, united in a single goal, that of the elimination of International Jewry. In 2005, the offices of a prominent neo Nazi (as well as a convert to Islam), Ahmed Huber was raided by Swiss police at the request of the United States government because of the American accusations that Huber was instrumental in providing financial assistance to Osama Bin Laden. At times, neo-Nazis have offered more that financial support. During the beginning of the first Gulf War, German neo-Nazis created an anti-Zionist brigade called the “Freedom Corps” that paraded around Baghdad in SS uniforms. Jorg Haider, who also governs the Austrian province Carinthia, runs an organization linked to this attempt, entitled the Freedom Party, composed of former Nazis as well as younger neo-Nazis. The Freedom Party has continuously downplayed or rejected Nazi atrocities and German war guilt. In 2000, Colonel Muammar Ghaddafi of Libya, deposited twenty five million dollars into a bank in Carinthia under Jorg Haider’s control. The “gift” was meant to alleviate sanctions imposed on Austria by the European Union in response to the Freedom Party being integrated into Austria’s governing coalition. This was not Ghaddafi’s first encounter with neo-Nazis; in 1982, the Italian neo-Nazi Stefano delle Chiaie, who had committed several bombings in Rome and Milan wrote to Ghaddafi, “Libya can, if it wants, be the active focus, the center of national socialist renovation [that will] break the chains which enslave people and nations.” Neo Nazis have since appeared in newspapers across the Arab world, their writings reaching a much larger audience than in the West. There is no question as to the substantial influence that National Socialism has had on Arab nationalism. I believe that history shows that the main conduit for the spread of National Socialism was Haj Amin al-Husseini and that the following decades have seen the rise of Islamic extremism, which can be directly attributed to National Socialism and its many adherents. Part of this blame is to be placed at the feet of the Superpowers, primarily the United States and the Soviet Union; both countries began adhering to their respective foreign policies during the Cold War. This included ignoring the influx of Nazi officials and other sympathizers during the last stages of the war as well as the decades after 1945. Several of these figures that escaped into the Middle East were able to cut deals with the United States in return for the exchange of information concerning Nazi funded weapons programs. Lax security measures also played an important part in allowing thousands of Nazis to escape, not only to the Middle East but also to locations all over the world. It was not until the 1980’s that bank accounts and other financial institutions were examined by the West in attempting to recover funds that were attributable, directly or indirectly, to power brokers within the Arab world. Ironically, it is the Arab World, which so strenuously denies that the Holocaust ever took place. It is a denial that is based not only on ignorance concerning the historical record, but also concerning their own role in the Holocaust. Ex-Nazi officials aided their governments and the various institutions of their military, and their own recognition of Husseini’s role in World War Two has been placed in a decidedly supportive light. Additionally, Israel is now looked upon as being synonymous with Nazi-like oppression in their dealings with their neighboring Arab countries, a horribly misconstrued role reversal in which the past Nazi aggression is now looked upon as being somewhat justifiable in their past persecution of the Jewish race. This can only be directly attributed to the symbiosis of National Socialism and Islamic extremism, in which the truth is considered expendable, a trait that both ideologies seem to share. There is only one weapon that can be use to combat this deadly symbiosis and that is education; an objective understanding of history and what role National Socialism has played in the formation of foreign policy in Arab countries, especially with that of Israel. Until then, the tenets of National Socialism have found a comfortable home indeed within the Middle East and in other Islamic countries. Allan Bogle is a prolific author and historian. One of his focuses is a contemporary and classic Middle East.